The University of New Brunswick’s Canadian Rivers Institute (CRI) is celebrating its 15th anniversary this week. Since launching in 2001, the CRI has become internationally recognized as the go-to source for advancing river, estuary, and watershed sciences and ecological sustainability. 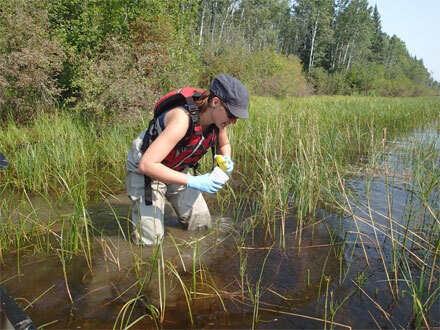 It is a collaboration of researchers at UNB Fredericton and Saint John with a mandate to develop the aquatic science needed to understand, protect and sustain water resources for the region, nation, and the planet. With the vision of making every river a healthy river, throughout the past 15 years the CRI has expanded beyond its Canadian roots and has developed projects and course offerings around the globe. "It's incredible to think how, over the course of 15 short years, the institute has grown from the determined efforts of four of UNB researchers into an institute of national and international renown," UNB President Eddy Campbell said. The CRI was founded in 2001 by four UNB researchers: Allen Curry, Deborah MacClatchy, Kelly Munkittrick and Rick Cunjak. Today, it is comprised of 19 Science Directors, 81 Research Associates, 88 students, 30 research and administration staff, and more than 230 alumni. Student training and professional development is at the centre of everything CRI does, according to Anne Levesque, CRI’s executive director. Partnership within the UK for an international project focusing on the Arctic Ring of Fire "Impacts of global warming in sentinel systems: from genes to ecosystems"